Sequential has gone large with the Prophet X and added a larger keyboard and doubled the polyphony with a new performance mode. 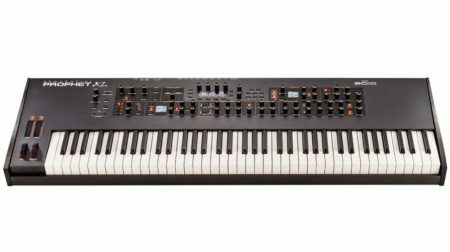 The Prophet XL is a 76-key version of the flagship Prophet X and features the same samples-plus-synthesis hybrid engine. Featuring a premium-quality Fatar keybed, the XL now adds a semi-weighted action, which should appeal to the performers. In addition, the new performance mode increases polyphony to 32 voices when using a single sampled instrument and a single oscillator. In standard performance mode, the instrument provides bi-timbral, 8-voice-stereo, or 16-voice mono operation. Both hybrid Prophets- Prophet XL and Prophet X provide 50 GB of internal storage for importing ad-ditional samples and support for user-created sample content is still on the cards and should be arriving in December, 2018. Novation announces the SL MkIII MIDI controller and CV-equipped keyboard. The launched of Novation latest generation of its long-standing SL keyboard controller range, with the MkIII and it features an 8 Circuit sequences inside. What looks to be quite the feature-rich studio centrepiece, the SL range comes with a synth-style semi-weighted keybed and light-guides. While the velocity-sensitive RGB pads have multiple functions, so you can either launch clips, use as a step sequencer, or create beats with polyphonic aftertouch. Designed to be all about sequencing, Novation has seen fit to cram in an eight-track poly-phonic sequencer, with a similar workflow to that of Circuit. The Novation SL MkIII is positively dripping in I/O with USB; MIDI In, Out, Out 2/Thru; three pedal inputs; Analogue Clock Out; and two CV Pitch, Gate, and Mod outputs. The new Novation SL MkIII is available in 49SL (49 keys) and 61SL (61 keys). The Nord Piano 4 is another evolutionary update for Clavia’s acclaimed stage piano. The New Nord Piano 4 is a 88-key Stage/Studio Digital Piano/Synth with 400 Presets, Triple Pedal, and Onboard Ef-fects. Nord Piano 4 offers pianists expanded polyphony and premium digital piano technology, with the Tri-ple Sensor keybed and the acclaimed Virtual Hammer Action Technology. Nord’s Virtual Hammer Ac-tion Technology delivers an exceptional piano feel, with Seamless Transition between sounds and dedi-cated Piano Filters for pinpoint control. The sample section, meanwhile, now has 512MB of memory, which is double what you got in the Nord Piano 3. Nord Piano 4 will be available in summer, August/September. The World’s First Cloud Connected Keyboard. 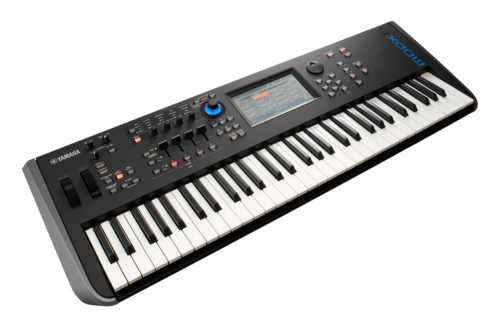 Nektar Technology has released new MIDI controller keyboards, the 49-note Panorama T4 and 61-note Panorama T6. The keyboard has a synth action with medium tension and supports aftertouch. Creative features include the Note Repeat function and the option to assign chords to any of the 8 LED drum pads which also support after-touch. There is a total of 62 physical hardware controls, buttons and fad-ers, while real-time feedback is available on the LED display. The Panorama T4 and T6 offer instant control of plugin parameters via the new Nektarine plugin control manager software. Plugin parameter changes are shown on the display, which should mean less time spent staring at your computer screen. In addition, standard mixing, track selection and transport control functionality is available in any DAW that supports the Mackie Control Universal protocol, and, depending on your DAW, you can get more advanced options once Nektar DAW integration is installed. The Panorama T4 and Panorama T6 available in July.